Imprint your logo or message on the brain stress ball. 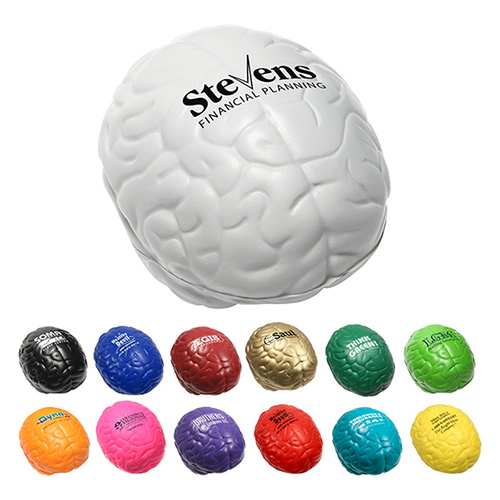 Brain stress balls are a clever promotional product for any business or service. These fun and budget-friendly stress balls will make your customers think about your message. Buyers:Doctors, hospitals, pharmaceutical companies, medical schools, creative industries, philosophy clubs, think tank groups, Mensa groups, university or high school counselors. Suggested Industries: Health care, education, pharmaceutical. Slogans:"If I only had a brain. ", "Smart decisions", "Something to think about. ", "Join the Brain Trust. ", "Mind over matter". Item Size : 3" X 2-1/4" X 2"